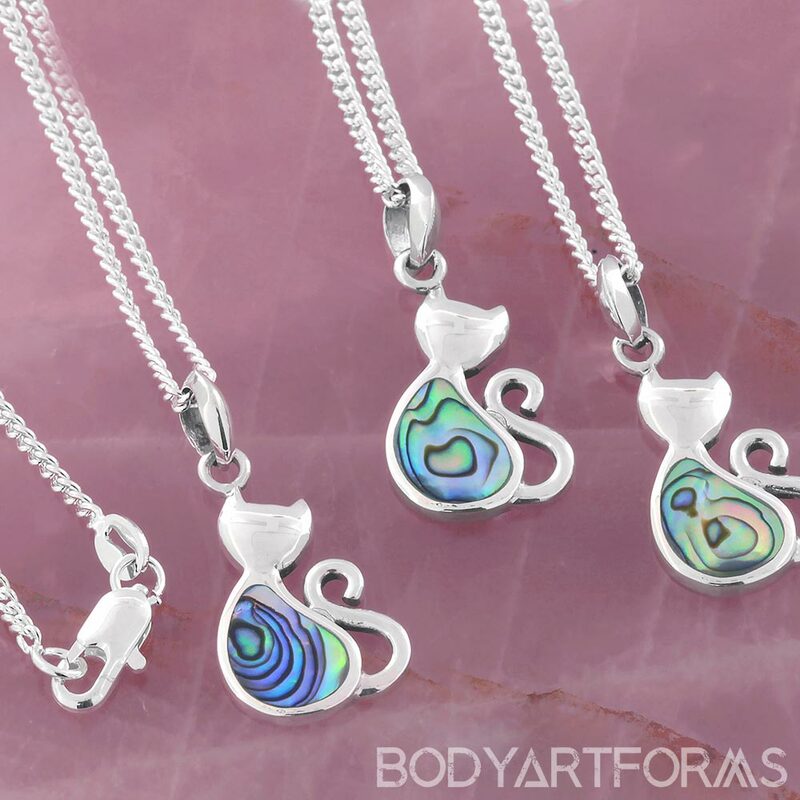 This adorable necklace features a kitten pendant made out of sterling silver, whose belly is a beautiful abalone shell inlay! The entire pendant hangs 27.5mm from chain. More necklaces are available here.